We’ve been catching up with a few members of our Washington delegation after a busy week in our nation’s capitol. From the turmoil in the Department of Homeland Security to continued back and forth over the Mueller report. 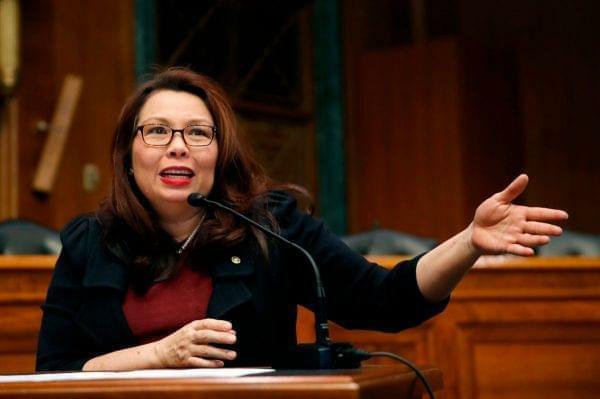 We speak about this, and more, with Senator Tammy Duckworth. We wanted to follow-up on a conversation we had yesterday. Musicians with the Chicago Symphony Orchestra are now on strike for the fifth week. Performances until April 23rd have been canceled, including one scheduled at Urbana’s Krannert Center for the Performing Arts. And on Monday, musicians rejected an offer made by the Chicago Symphony Orchestra Association, the organization that manages the orchestra. Yesterday, we heard from two musicians who are on strike. Today, we're joined by Jeff Alexander, president of the Chicago Symphony Orchestra Association. The sticking point between Chicago Symphony Orchestra management and musicians has been over pensions. CSO Association President Jeff Alexander says that transitioning into a new pension plan will help the orchestra's financial stability. For 50 years people in central Illinois have been coming to the Krannert Center to see performers like Yo-Yo Ma and Joshua Bell, as well as ballet companies, acrobats, and musicians from all over the world. And this weekend they’re celebrating those five decades with the Come Home to Krannert Center Weekend. It’s an achievement, not just for the University of Illinois, but for art in Illinois, and it got us here at the 21st thinking about other great arts organizations and institutions in the state that exist outside of Chicago. We’ve gathered a few of them to join us for a conversation. We're joined by Mike Ross, the director of the Krannert Center for the Performing Arts. In Springfield at our partner station WUIS, Betsy Dollar is the Executive Director of the Springfield Arts Association. And from the Town of Normal, Adam Fox is the Civic Arts Manager who oversees programming at the Normal Theater. What do the shows Broad City, Big Bang Theory, Veep, and Game of Thrones all have in common? They’re all ending this year. There are many more big name shows we’re saying goodbye to in 2019 as well. Whether it’s Orange Is The New Black, Jane The Virgin, or Crazy Ex-Girlfriend, there is a fandom out there that will be sad to see their favorite shows end. We're joined by two television enthusiasts to reminisce about all of these shows. Erik Adams is the AV Club’s TV Editor. And joining us from NPR in Washington is Linda Holmes. She’s a writer and editor, but she's probably best known as the host of Pop Culture Happy Hour.